The 2014 coronation night of the Philippines' edition of Miss World was opened by reigning Miss World Megan Young. 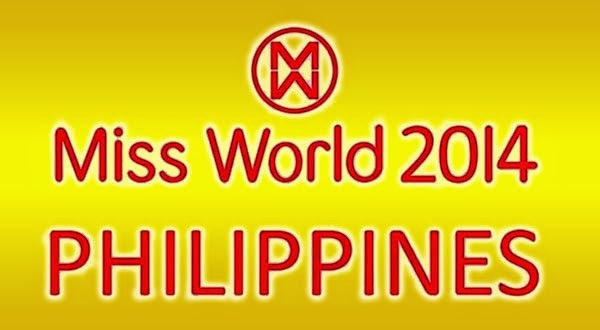 Watch the Miss World Philippines 2014 that held tonight, October 12, at the Mall of Asia Arena in Pasay City. The twenty-six (26) beautiful finalist are vying for the chance to win the crown and represent our country in the Miss World finals in London this December. You may watch the #MWP2014 awards night on a live coverage tonight at the given venue above or you may wait the delayed television broadcast on GMA 7 after the TV show "Bet ng Bayan" tonight. But we will try our best to give you here the Miss Word PH 2014 live online streaming. Some of the special awards was already announced. Lorraine C. Kendrickson is the Miss Sports, Nelda C. Ibe is the Miss Photogenic and automatically included in Semifinalist. And Valerie C. Weigmann won the Best in Swimsuit award and Miss Camarines Sur award. Also in the board of judges are Jesi Mende, Jasper Evangelista, Nancy Go and Bryan Lim. Here is the opening speech of the reigning Miss World Megan Young. The winner of the Miss World Philippines 2014 title will received cash prizes worth of P1 million while for 1'st runner-up: P250,000; 2nd runner-up: P200,000; 3rd runner-up: P150,000; and 4th runner-up: P100,000. For more information about Miss World Philippines 2014, kindly bookmark this page and share to your joined social networking sites. Comments or suggestions about "WATCH: Miss World Philippines 2014 Grand Coronation Night Video" is important to us, you may share it by using the comment box below.